Split level home close to interstate system. 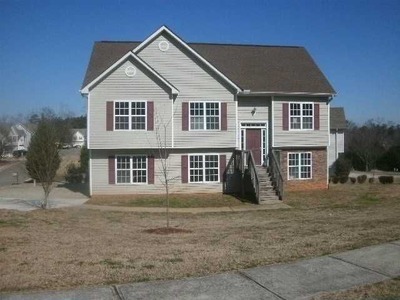 Home features dining room, kitchen, family room, 2 car garage and fenced yard. Home sold in 2003 for $146,100. 3 BR / 3 BA 1749 Sq. Ft.
3 BR / 2 BA 1684 Sq. Ft.